A Sonyalpharumors reader just sent us following pictures. I don’t know where he found them but they tell us more about the NEX features. According to many different sources Sony is not only ready to launch the new NEX mirrorless cameras. Two new entry level Alphas will be announced in June-July. One model should be the A290 the other model the A390(?). According to one source the cameras will not use the enw EXmor HD sensor. The Sony Alpha A230 and the Sony Alpha A380 have been announced in May 2009. 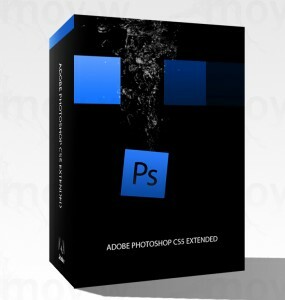 The new Adobe CS5 suite is now shipping! On photoshopuser.com/cs5 you can see a very well done list of the new features. As I told you that’s cheaper than Micro Four Thirds cameras ! I have been asked by many of you to try to get some info about the autofocus speed. I asked around and the answer I got is that the contrast autofocus is very fast. At least as fast as the Panasonic GH1 / GF1 autofocus. But we will have to wait until the official NEX release to be sure of that. Another question was how many frames per second both cameras do have. A first rumor I recieved says that the NEX3 will have 5fps and the NEX5 7fps. But I still need to doublecheck that news. Someone can confirm us if the specs are correct?